Copenhagen, Denmark. 11th April 2013. 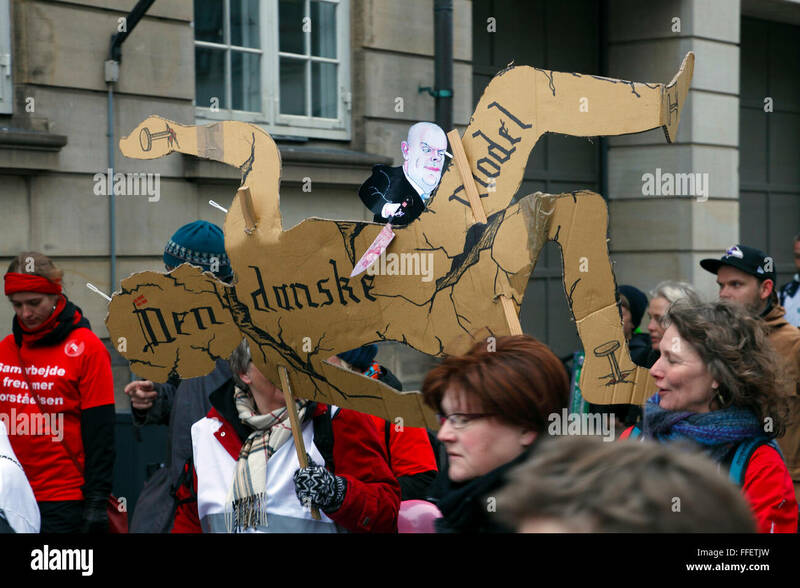 A group of demonstrating teachers are on their way to the demonstration at Christiansborg, the parliament building, with a cardboard figure depicting "The Danish Model" (the Danish labour market regulation) being stabbed and carved into pieces by the Danish Minister of Finance, Bjarne Corydon. 40,000 teachers from all over Denmark demonstrated in front of the Danish Parliament building, Christiansborg, against the ongoing lockout of teachers and the government's reform plans to cut teacher preparation to finance longer school days.